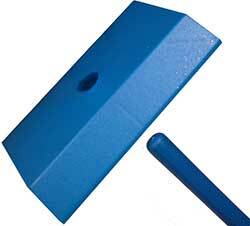 How to Assemble your Pinewood Derby Car Paint Handle. 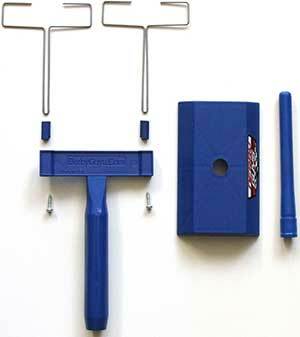 This paint handle makes it easy to paint your pinewood derby car. 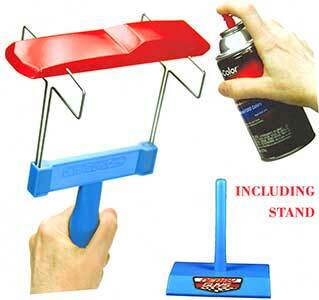 This video demonstrates how to paint a pinewood derby car using the Paint Handle. 1. 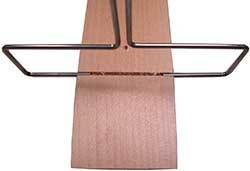 Insert the small into the bottom of the brackets. The hole in the tab should be facing the end of the bracket. 2. 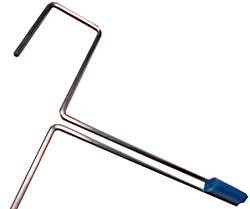 Insert each bracket into the handle until the top of the tab is flush with the top of the handle. 3. 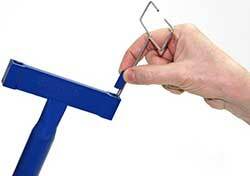 Use the included screws to fasten the tabs to the handle. 4. 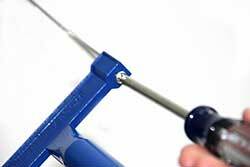 Assemble the stand by inserting the pole through the bottom of the stand. 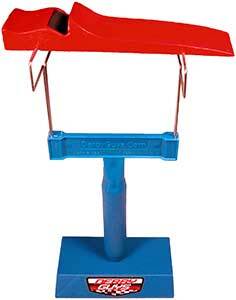 Place the stand on a flat surface and push down on the stand to seat the pole in p[lace. 1. Press the ends of the brackets about 1/4" firmly into the axle slots or axle holes. 2. 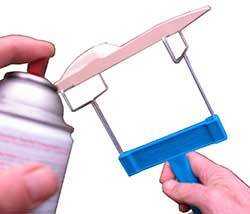 Hold the handle while painting the car. Both spray paint and brush work well. 3. Place the handle on the stand to dry.